Jeremiah prophesized that the Babylonian captivity would last 70 years, and indeed it does: from the fall of Jerusalem and the destruction of the Solomon's temple in 586 BC to the rebuilding and dedication of the second temple in 516 BC. When Cyrus the Great, King of Persia, conquers Babylon, he allows not only the Jews, but all the people taken captive by Assyria and Babylon, to return home in 539 BC and rebuild their cities, temples, and infrastructures. In the book of Ezra we witness the exiles' return, and we watch as they rebuild the temple, stacking stones with one hand and wielding swords with the other! As we rebuild the temple in Ezra, so we rebuild Jerusalem in Nehemiah. Ezra and Nehemiah work together, priest and layman, to complete the work - and you will not find two more different characters in all of Scripture. When Ezra learns that the Israelite leaders have been unfaithful to God, he sits on the ground appalled and pulls out the hairs of his beard; when Nehemiah hears the same message, he gathers the leaders together, sits them on the ground, and he pulls out the hairs of their beards! Those who returned to rebuild Jerusalem and the temple in Ezra and Nehemiah number little more than 40,000 people, only about 10% of the Jewish population in the Persian Empire. The book of Esther tells the story of the 90% who remained behind. This is a fabulous story - and Dr. Creasy recounts the "X-rated" version, with his "behind the scenes" commentary on a beauty contest! 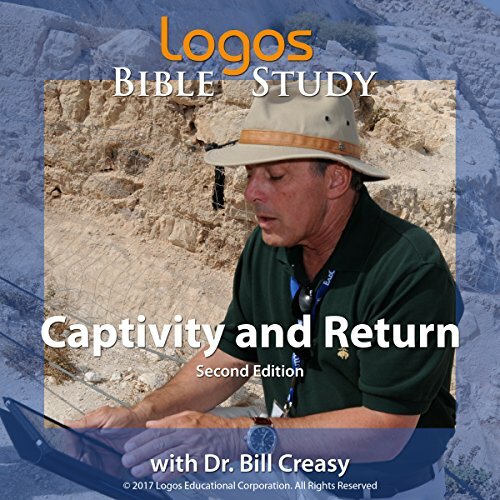 Dubbed a "bible teacher extraordinaire" and the "Garrison Keillor of Scripture", Dr. Bill Creasy served on the UCLA English faculty for over 20 years, during which time he was consistently ranked among the top 2% of the university's teaching faculty.